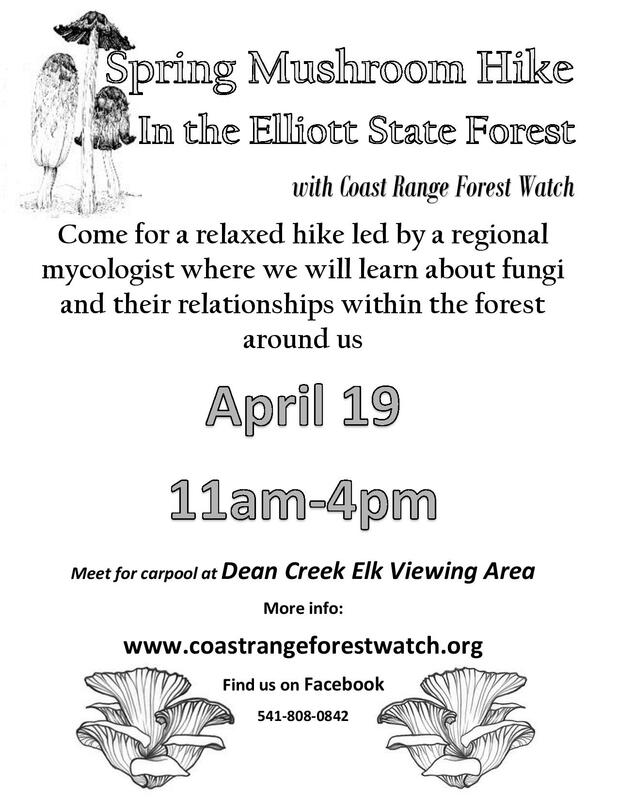 Join us in exploring fungal life in the Salander Creek area as it meanders into Loon Lake. The Salander Creek drainage was recently protected as habitat for the endangered marbled murrelet, except for 32 acres that were logged in 2014. The hike will be along a grassy road, and as much as two miles round trip. But after all, the Elliott is public land, so explore to your heart’s content. Because springtime can be hit or miss for some of our favorite gourmet mushroom varieties, this hike will be geared towards learning the things mushrooms do all year round in the soil to benefit the habitat in which they live. Did you know that some plants rely on the network of fungus in the shallow topsoil to share nutrients with the plants around them? Find out more at this hike.